The presidium of Russia’s Supreme Court has overturned the sentence against opposition activist and blogger Alexei Navalny who was found guilty of embezzling funds belonging to the Kirovles company, a TASS correspondent reported from the courtroom. The case will be reviewed by the Leninsky district court of Kirov due to the new circumstances. The court's presidium initiated the checks into the case after the decision of the European Court of Human Rights, which said that Navalny’s rights to have a fair trial had been violated. In July 2013, Navalny was given a five-year suspended sentence as part of the Kirovles case. The second defendant, the former head of the Vyatka Forest Company, Pyotr Ofitserov, received a four-year suspended sentence. 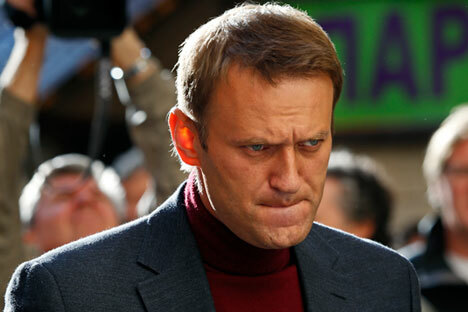 Navalny criticized the Supreme Court’s ruling on Wednesday stressing that it failed to comply with the ECHR decision. "This case had been considered in detail, today I should have been acquitted." "Today’s decision was passed with the only goal - to force me to again go to Kirov for the case’s reconsideration and therefore to obstruct my political activity," the blogger said, adding that he plans to appeal against the latest decision in the Committee of Ministers of the Council of Europe.